My somewhat quirky views as I gaze at the world around me! I am not an early riser. In fact, most of my friends know that I don’t “do” mornings. And I’ve been reflecting on that for a while and have wondered why. That exercise led me to try to recall some morning memories. So, here we go! I was born and brought up in Saratoga Springs, NY, known for “Health, History and Horses”. The Saratoga Race Course was built in 1864 and thoroughbreds have been running there every summer since. During the meet, the city is thronged with the rich, the famous, the beautiful people. Afternoons at the track are a huge attraction, with tens of thousands in attendance daily. But I cherish the memory of my dad taking me, as a little girl, to the early morning workouts. We’d lean against the white wooden rail fence in slowly brightening light and watch the mists dissipate. Then, suddenly, the ground would begin to rumble, hooves would pound and those beautiful beasts would come thundering toward us! No cheering crowds, just grooms, hotwalkers, jockeys and the stars of the show – the horses. Another childhood memory also revolves around my dad. At one time, in my early years, he had a bread route covering mainly rural parts of Saratoga and Washington counties. A special treat was getting up with him at 4 a.m. and making the rounds with him, sitting on the floor of the truck and listening to his stories of the area and people. The sun would come up, the morning hours would pass and then he’d stop and take a break at the side of the road with the delivery man from the rival baking company. My favorite part was when I was allowed to pick 1 treat from EACH truck! I also have an incredibly clear visual memory of watching a sunrise with a woman named Susan Bradley (with whom I’ve unfortunately lost touch). We were in the front seat of her car and the image is SO vivid! But, I have absolutely no idea why we’d been up all night nor even what city or state we were in! As a young wife and mother in the 80s, I’m sure I saw many dawns and sunrises but the lasting memory is of watching my little daughter walk in the dark predawn to the end of the drive to wait for the school bus. In 1998, we were blessed to host a Turkish exchange student from Berlin, Asuman, my “Turkish daughter”. She had decided to observe the Islamic season of Ramadan, which lasts a month and no food is to be taken between sunrise and sunset. We’d check the newspaper the night before for the time of sunrise and make sure we’d get up early enough for her to eat a full breakfast before the magic minute. We spent some wonderful mornings quietly talking before the dawn. As the decade continued, I began to indulge my passion for travel in earnest. That meant many early morning awakenings to catch flights, disembark cruise ships, board tour buses, ascend in a hot air balloon and try to pack the most into a day of travel. 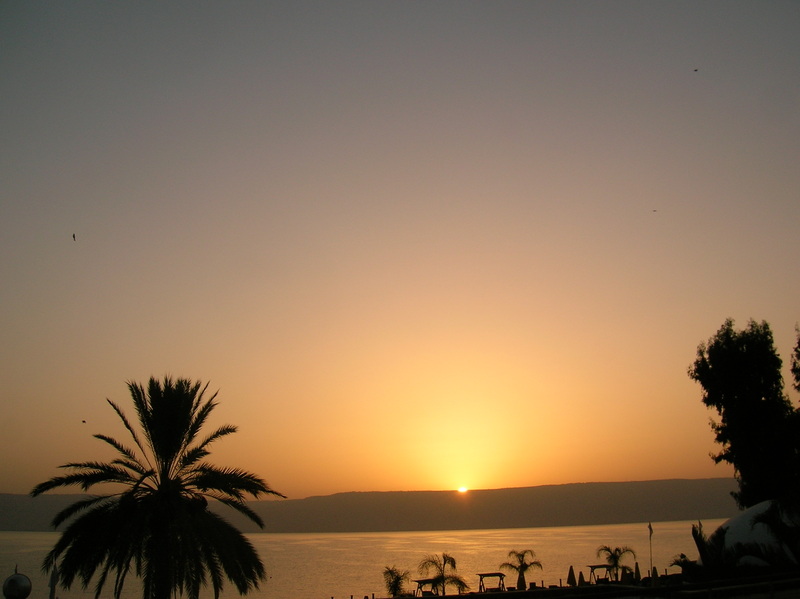 In November 2007, I was touring Israel and one morning woke up early in my hotel in Tiberius on the Sea of Galilee. Looking at the sun rising over the Jordanian hills on the other side of the lake and seeing the mist rise, I felt the sacredness of the place rise in my soul. 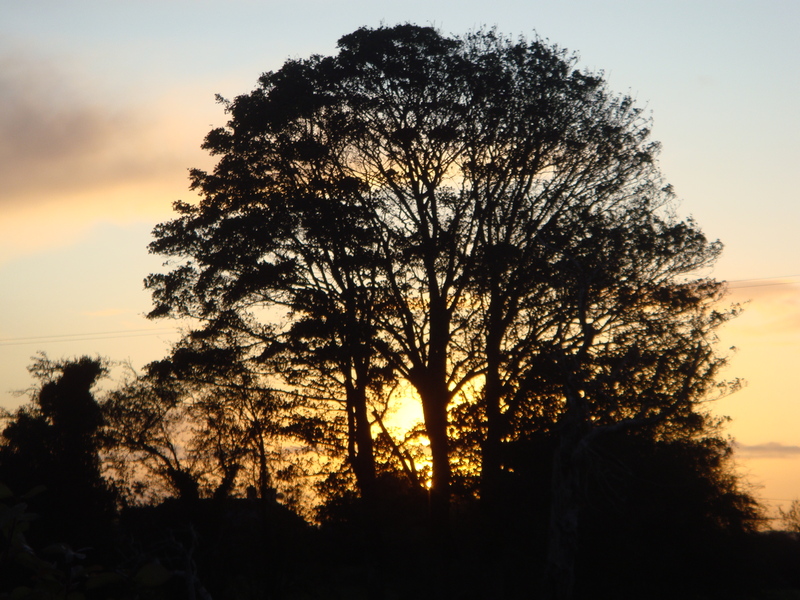 2009 brought the fulfilment of a life-long dream – my first visit to Ireland. All during the transatlantic flight I was anticipating flying into the sunrise over the Emerald Isle and I was not disappointed. Up each morning before dawn to prepare for another excellent adventure, I saw several sunrises. I met the love of my life on that trip and the morning I watched the sun rise over Tralee, County Kerry, with the full moon high above it, I knew I was home. 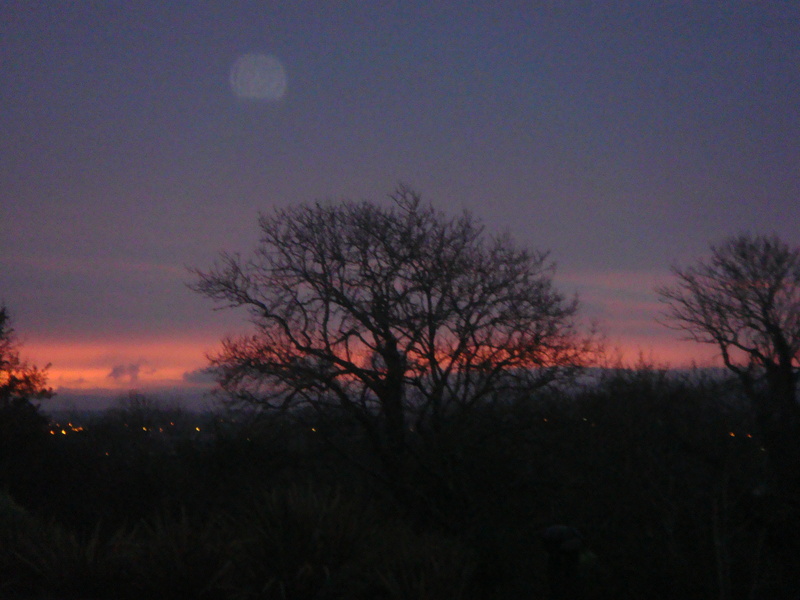 Happily, in Ireland, the sun rises later in the fall and winter and I do catch the occasional one. But, to be honest, I’ve turned into a night owl and often my “mornings” begin at 10 or 11……..or later. Still, I have my morning memories and that’s what counts!